This is a sponsored post in partnership with Hood Frozen Yogurt. As always, all opinions are 100% mine. In a cone or in a dish? How do you like your froyo? 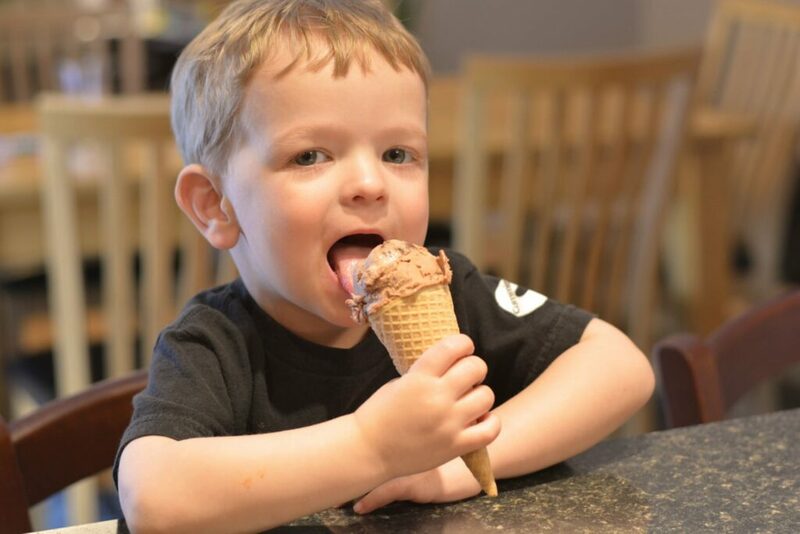 We love our sweets and often relax in the evening by taking a walk and then enjoying some ice cream, especially now that the weather has finally gotten warmer here in New England. We are celebrating the end of a cold and nasty winter that lingered for far too long. Earlier this month, I was looking ahead to summer vacation and bathing suit season, and I tried to cut this family tradition back a bit and I met with a lot of resistance. Thanks to Hood Frozen Yogurt, I have found a lighter alternative to ice cream that is as creamy, delicious and indulgent. They have 15 different delectable options that are either low fat or fat free. Who says you can’t have it all? Now we can all enjoy dessert without sacrificing that rich taste that is so satisfying. If you are already a frozen yogurt fan, I know you will love Hood froyo. If you are an ice cream fan and are reluctant to switch, Hood froyo is smooth, rich, and creamy and not tart, unlike some frozen yogurts. It’s a delicious alternative that you can enjoy at home. As an added benefit, Hood Frozen Yogurt contains active live cultures that can benefit our digestive system and immune system. 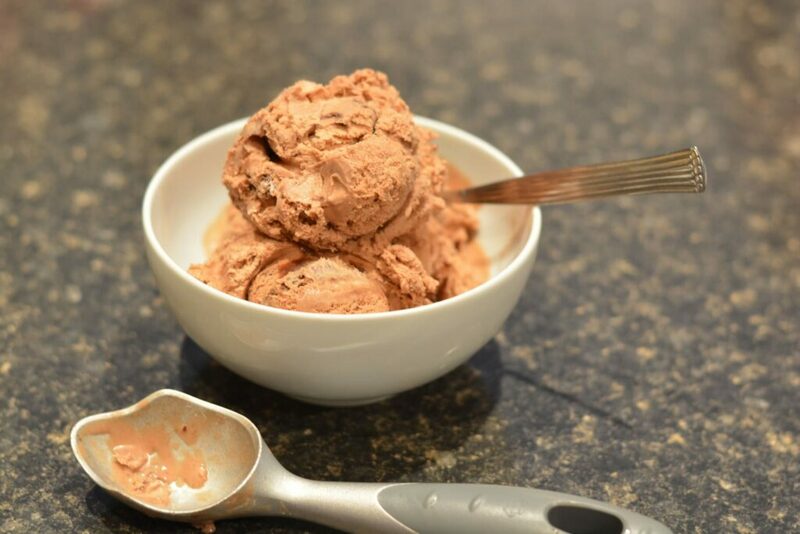 We really enjoyed the Chocolate Fudge Brownie flavor, and you would not think it was low fat! I also like the 1.5 QT containers. There is enough to enjoy and yet the container is not so large that it takes up a lot of room in the freezer. 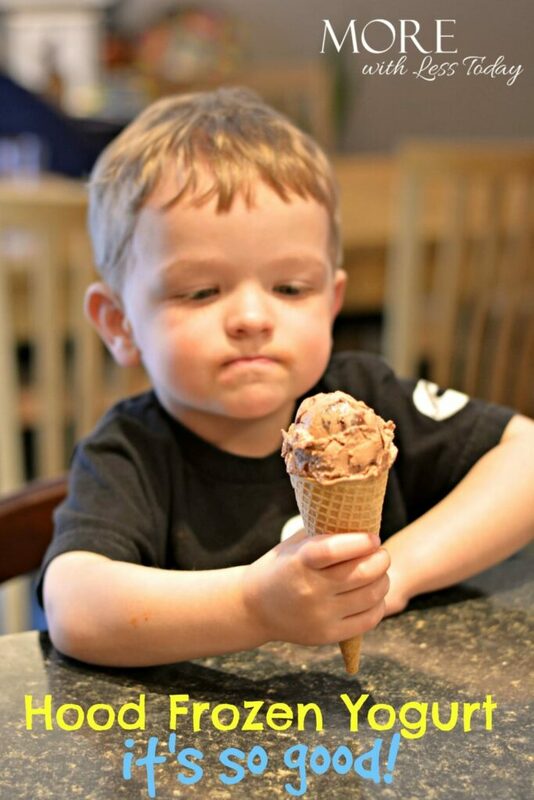 You can finish it and then set about trying some of the other 15 delicious flavors. Click here to get the delicious details including nutritional labels and ingredient lists for Hood’s frozen yogurt. Many of the low fat options have toppings already mixed in. They are so good that you don’t need to add in anything else. Hood’s frozen yogurt is also great in smoothies and drinks too. If you need some inspiration, make sure you stop by Hood’s website for some amazing recipes such as Apple Pie Shake, Blueberry Blast Smoothie and Cherry Vanilla Freeze. Hood is the number-one dairy brand in New England and has been in the ice cream business for over 100 years. They are true experts at what they do so you know you are getting great quality, delicious froyo. Find Hood’s Frozen Yogurt in your grocer’s freezer in CT, MA, ME, NH, VT, RI, and Upstate NY. Click here for more information on Hood Frozen Yogurt and other Hood products. For the most recent news and updates, be sure and follow Hood on Facebook and Instagram and look for their hashtag #Hoodfroyo. Doesn’t that look so good? What flavor would you try first? Wish they had this tasty treat near me. I love frozen yogurt and Hood’s looks like it offers a lot of variety. There is something for every palette. I’d love to try their fat free strawberry flavor. I love strawberry and I haven’t tried Hood brand frozen yogurt yet! I absolutely love frozen yogurt, it’s one of my favorite desserts especially during the warmer seasons! Thanks for introducing me to this brand, this is the first time I’ve heard of it. I love that it’s not tangy, sometimes I just really want my creamy ice cream fix without the calories so this is a nice take on that! Thanks again! I want this so much!!! I’m so in love with frozen yogurt. This is so yummy. That sounds an amazing and yummy frozen yogurt! I will add this on my list. Thanks! My family used to love frozen yogurt. Thanks for the information! I love frozen yogurt and am so glad it has some health benefits. I will be looking for this in my area. I’m a fan of frozen yogurt. I think it tastes just like ice cream! This seems really cool and delicious. Love to try this too at home. Yummy! I love frozen yogurt. I’ll have to try this Hood frozen yogurt! I’m not sure if we have this brand near us, but my kids go crazy for froyo. They just love it. I’m a dish girl myself, I don’t eat my froyo fast enough and it melts all over the place if it’s in a dish! 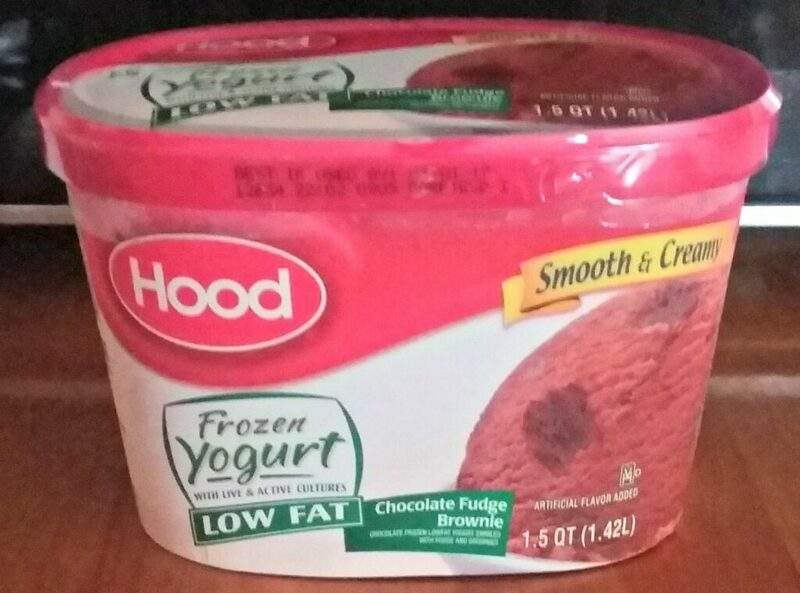 Hood yogurt looks tempting like an ice cream my favorite would be chocolate.